Electroplated diamond grinding wheels are made with selected synthetic diamonds, which will provide a quick material removal and it will hold the form you require throughout the life of the tool, eliminating the costly and time-consuming need for dressing. No matter your job requires an aggressive stock/material removal rate or a fine finish. Various shapes and sizes of grinding wheels for profile forming or surface grinding of marble and other hard materials. No matter straight or profile forms. 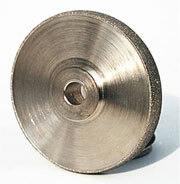 Grinding wheels are usually custom made upon customer’s drawings. For more information or inquiry please contact us. 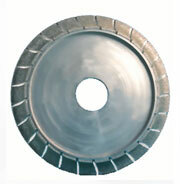 Electroplated diamond grinding wheels are usually made upon customer’s drawings.